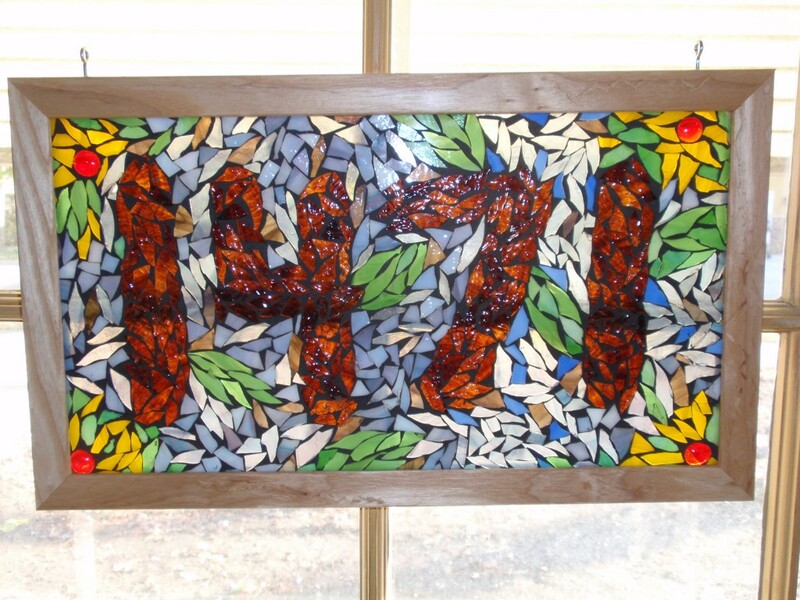 A great way to display your house numbers in your front window. This example is framed with a narrow ash frame. Mosaics fit great in our standard lead groove!